November 3, 2017 October 4, 2017 / Julie Brook, Esq. California has a statutory scheme for the right to control disposition of the remains of a deceased person (Health and Safety Code §§7100–7117), but if you or your client wants to have this control, you need to put it in writing. decedent, prior to death, may direct, in writing, the disposition of his or her remains and specify funeral goods and services to be provided. The written expressions control as long as (1) they are clear and complete and (2) arrangements have been made for payment by some binding means. If arrangements have been made only for the cost of either the interment or the funeral, the remaining wishes of the decedent must be carried out only to the extent the decedent had assets to cover the costs, unless third parties who otherwise have the right to control the disposition of remains agree to assume the cost. Health & S C §7100.1(b). Testamentary expression. Although a will may appear to be the proper document in which to express preferences for disposition of remains and funeral or memorial services, this may not work because the will might not be examined before disposition of remains is done. But if examined on time, the expression in a will must be carried out regardless of the validity of the will in other respects or of the fact that the will may not be offered for or admitted to probate until a later date. Health & S C §7100.1(c). And a benefit of an expression of preference in a will is that the probate court is available to adjudicate disputes on disposition of remains. Advance health care directive. California’s statutory form for an advance health care directive (Prob C §4701) includes language in Part 1 (paragraph 1.5) authorizing the agent to direct disposition of the principal’s remains. The agent’s authorization in the advance health care directive takes precedence over the wishes of surviving family members. Health & S C §7100(a)(1). Keep in mind that execution of an advance health care directive without stating any limitations gives the agent full power to dispose of the principal’s remains, to authorize an autopsy, and to donate all or part of the principal’s body for transplant, education, or research purposes. Prob C §4683(b). Contract with funeral home or memorial society. 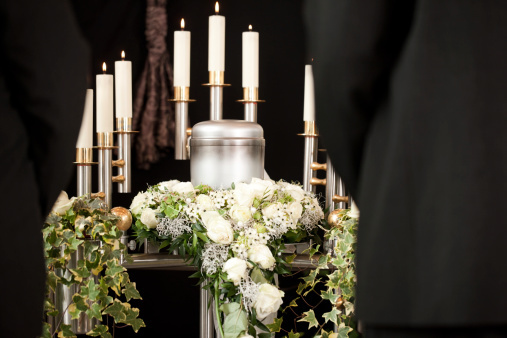 Funeral homes and memorial societies have forms for potential customers and members to express their preferences and related instructions on disposition of remains. For the consumer perspective on this issue, check out the website for the Funeral Consumers Alliance, a federation of nonprofit consumer information societies, including many in California. Other written expression. Other writings expressing preference for disposition of remains aren’t precluded, but would presumably also be subject to challenge on all the grounds available to challenge any other document taking effect on the death of the author, e.g., lack of capacity, undue influence, mistake, or lack of intent. If the decedent left no written preferences, the duty to arrange for disposition of remains and payment falls on certain individuals in the order named in Health & S C §7100(a)(1)–(8), starting with the agent under a power of attorney for health care who has the right and duty of disposition, and then going on to the spouse, adult children, and parents. 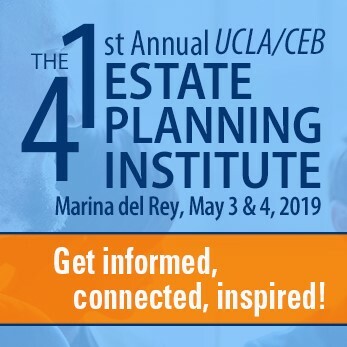 For much more guidance on planning the disposition of human remains, turn to CEB’s California Estate Planning, chap 31. On using advance health care directives as an estate planning tool, check out chap 29 of that book as well as CEB’s California Powers of Attorney and Health Care Directives.